Comparing the process of building a website to that of building a house is an overused cliché, so I’m going with a food analogy instead. Building a website is like baking a pan of golden peanut butter brownie bars from scratch. It requires planning, ingredients, a timeframe, and a written document known as a recipe. In the case of web design, the recipe for a website is called a design document. A website design document outlines the objectives – or specifications – of the website that will be built, along with budget constraints and a proposed deadline. 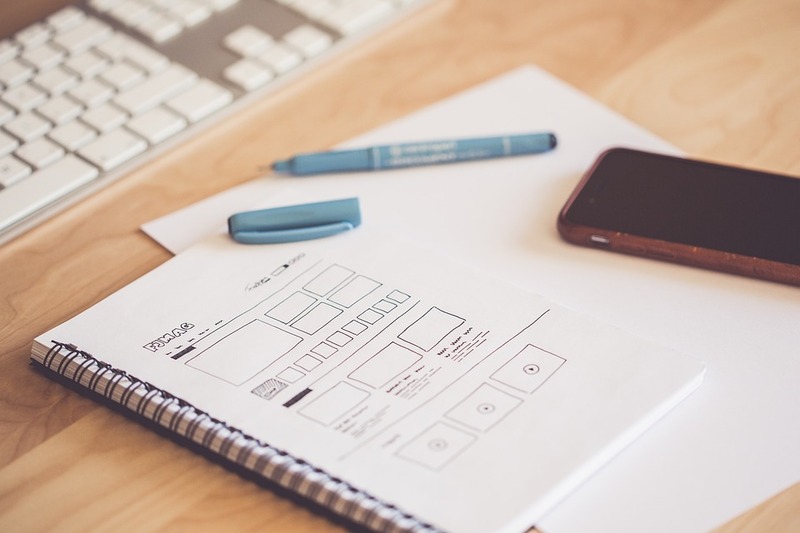 Every website project needs a design document to not only guide the web designer through the process of building the website but also to define the goals and expectations for whom the website is being built. Whether the website is a personal project or being designed for a client, a web designer should include at least seven key parts in his or her design document before diving into the website building process. Provide background details or relevant information of the client, company, or organization. This is a “brief introduction” to the project. The client’s expectations for the website determines how it will be designed and what it will look like once it’s completed. Goals for the website include increasing product sales, gaining new leads, or creating a stronger online presence. Identify the target audience (usually more than one) that the website needs to appeal to in order to meet its goals. Prospective clients and key demographics are examples of target audiences to consider. A provisional site structure provides a starting point that conveys the information architecture of the website. Commonly used web pages, site navigation, and other elements can easily be deduced by looking over the project’s goals and expectations. How should the website function? List the ways a visitor would possibly use the website. For example, if the website were an online store, technical specs would include a shopping cart, payment delivery methods, and order customization features. These requirements may include: usability, loading times, security, and consumer privacy and legal concerns (i.e. terms and conditions). No stone should be left unturned. Define an approximate budget for the project and propose a reasonable deadline for completing the website. A typical timeframe for building a website is anywhere from three weeks to six months depending on the size of the project. It should go without saying, but – be realistic. No design document is the exact same as the one that came before it. Each document is unique in its own way, but most have a similar structure that incorporates the seven elements outlined above, with the addition of other sections or specifications unique to the designer or client. In the end, it’s your project, so make the design document how you see fit. Did you enjoy reading this post? I enjoyed writing it! Follow or subscribe via email, and while you’re at it, follow me on Instagram at @jmordesign and on Twitter at @jmoran101.